There was no kicking but there sure was screaming and crying. To date, I will say that potty training is the most challenging thing I’ve ever had to do with Sam. Ironically I feel it is the summation of all our (my?) control issues as her need to pee is not something I can really control. While I appreciate that she has a mind of her own, it doesn’t make it easier when I know that I’m right (Please note: I say this purely for the potty-training experience and nothing else!). As I mentioned previously, Sam refuses to use public toilets, including the family restrooms where there’s a potty just her size. She’d rather “make wee-wee at home.” More often than not, I’ve worked my schedule around that fact that she will hold it as best as she can until we get home. Which means after two hours, I find myself rushing back to the house. In spite of my frequent efforts to try to get her to go so we can stay out a little bit longer, she just refuses and insists she’ll wait. More often than not, our unsuccessful attempts end in tears and I’ve constantly worried I’ve traumatized her into going. When I think about it, most of our accidents happen when we’re out and can’t get her home right away (here at home she already says she needs to go, no matter what she’s doing) . Imagine the stress and the hassle of either having to instantly adjust plans to run back home or to clean up the mess wherever we are. I know it’s because she’s afraid of the flush and the hand dryers. She doesn’t like the sound or the fact that they surprise her when they come on automatically. I knew something had to be done about it, because I couldn’t keep running home all the time, nor could I do much more clean-ups in public bathrooms. And all that stress would send ME to the potty! After 10 oz in this, who WOULDN'T need a potty?! A few days ago after picking her up from school, we went straight to Southpoint Mall to have lunch with friends. Normally after school she takes a full bottle of milk, sending her to the potty the minute we get home. So I knew our first stop at the mall had to be the bathroom. We sat in the stall for 10 minutes, with Sam crying on the potty begging me to take her home. I reasoned with her and assured her it was okay, all to no avail. Half of me was ready to drop everything, give in and run home (also in fear that she might contract UTI if she kept this up for much longer), but the other half was saying that we needed to make this work sooner rather than later. Our friends rode with us too, so it made running back home a little bit more complicated. I was determined to find a way to avoid an accident and still manage to enjoy our day out. I employed a strategy a mom at our playgroup uses — withhold an activity she likes until she does what you say, but show her what she’s missing out on. I needed to try something different since I couldn’t get mad or force her to go (what if she really didn’t need to, then it might backfire and I’d have traumatized her for life), and I couldn’t say, “If you have an accident we’ll go home”, because I couldn’t follow through. So Sam and I mutually agreed she couldn’t play on the playground until she went to the potty. She would have to sit on my lap and watch as her playmate had his fun. I was amazed at her resilience; for a good 15 minutes sat stoically beside me without the slightest hint of temptation. Our friends were saying I was going to lose this battle and I so I psyched myself out for an accident clean-up. Then I noticed that she couldn’t sit still much longer (although she wasn’t itching to go and play either), a clear sign that she really needed to go and was just too proud or too scared (or both) to give in! In desperation I sweetened the deal: playing AND getting to choose a sticker prize. I suppose it was also because she couldn’t hold it in much longer that she gave in to trying. It took a while still, and a little bit more crying, but it happened eventually. I swear to God I was ready to collapse in relief on a public bathroom floor that I had not disinfected (of course the toilet bowls she sits on are properly disinfected AND lined so that not one part of her body touches it). Sam said she felt better, so much so that she exclaimed out loud repeatedly for strangers to hear, “Mommy will buy stickers now because I MADE WEE-WEE!” Yes, the whole mall knew of our triumph. After that when she had to go again after lunch, we didn’t have a problem anymore and she came with me willingly. Lord. I think I aged 10 years from that experience, and only then did I realize how “mature” Sam’s emotional quotient is for her age. And from the looks of it, I am in for a lot of strong-willed battles in the years to come. THE MORAL OF THE STORY: Stickers are the key to avoiding stress lines and premature aging. haha thanks! yes buti nalang sticker lang ang katapat. “Mommy will buy stickers now because I MADE WEE-WEE!” Yes, the whole mall knew of our triumph. This is so funny, Jenny. And oh, boy, I dread potty training. Yikes! Thanks Lisa! 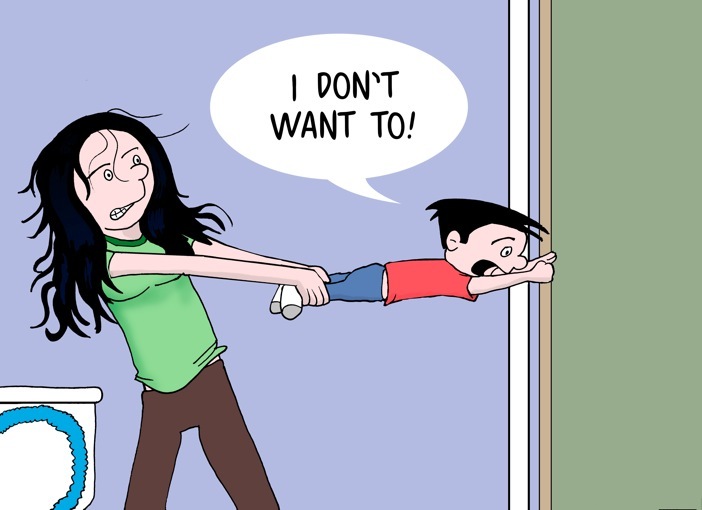 we can talk more about the potty-training horrors when we see you this weekend! Indeed. why God why. hahaha.